For this one I have used the sketch from this weeks Sweet Sketch Wednesday challenge again. I will also enter the card into this weeks I love Promarkers (Christmas), Willow Sketchie (theme- Christmas) and ABC Christmas (up to you) challenges. This months CCAYR challenge was either to use a traditional image with non traditional colours or vice versa. I have been pondering on this for a long time now and I think I may have hit the answer today. I don't think a dog ice skating is a 'traditional Christmas image' but I have teamed it with green and red colours- traditional: BINGO. I will also enter this card into this weeks I love Promarkers (Christmas), Passion for Promarkers (pets), Willow Sketchie (sketch and theme- Christmas) and ABC Christmas (up to you) challenges. This is probably the last Halloween card I make this year (I think I have only made 3!). I wanted to use this Stampfairy image again. This time I have cut it down a bit to just the girl. I will enter the card into this weeks MAWTT (too cute to spook), Sweet Sketch Wednesday (sketch) and Di's digi downloads (anything Halloween) challenges. This is another newish digi that got its first outing this weekend. I will enter this card into this months Ready Teddy Go (pink, brown and cream) challenge and this weeks Sweet Sketch Wednesday (sketch), I love Promarkers (anything goes), Cute Card Thursday (glitter) and ABC Christmas (up to you) challenges. This elf was a freebie from Digistamp Boutique a few months ago and I have been meaning to use him for ages. I will enter this card into this weeks Willow Sketchie (sketch), I love Promarkers (anything goes), ABC Christmas (up to you) and Cute card Thursday (glitter) challenges. I love making Halloween cards- never send them though! Here's one I made today using a combination of Pollycraft and Digistamp Boutique digis. I will enter this into this weeks Sweet Sketch Wednesday (sketch), Di's Digi downloads (too cute to spook) and I love Promarkers (anything goes) challenges. I owe a lot to another PhD student in Spain who helped me find accommodation for my stay in Italy. (She had stayed in a flat with a couple and I managed to stay in the same flat and rent the room. It worked out really well and I would have found it impossible to find accommodation elsewhere in Modena since my knowledge of Italian is very limited.) I want to say thankyou to Ana and so have made her a card. I will post it (with a gift) next week when I have bought the gift! I will enter the card into this weeks Williow Sketchie challenge- sketch and theme (buttons). 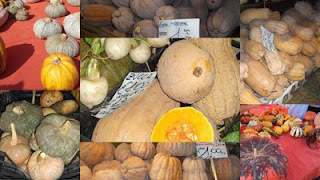 I have seen LOADs of pumpkins for sale in Italy- not the normal ornage type that you get here just for carving but all sorts of shapes and sizes for eating. Pumpkin tortellini is a regional spatiality in Modena. I wish I could have brought a pumpkin home with me to eat but they are huge and it REALLY would not have fitted in my case. I will enter this into this weeks Sweet Sketch Wednesday challenge (sketch), I love Promarkers (halloween), Di's digi downloads (too cute to spook) and Willow Sketchie (theme- buttons) challenges and this months CMLI challenge, set by Nicola, of 'the seasons'. I will enter these into this months Digistamp Boutique customer competition and this weeks Passion for Promarkers challenge (shabby pink or blue). I will also enter these into this weeks Passion for Promarkers (shabby pink or brown) and Willow Sketchie (theme- buttons) challenges and this months Digistamp Boutique customer competition. I'm back home and can do some crafting after what seems like an age. I have organised a swap on CMLI this month and so had better get a move on and make my items! The theme is 'pink' and there is an optional extra of making a donation to beast cancer care/cancer research Uk since it is Breast Cancer Awareness month. Instead of stating what we had to swap I have left it open- twinchies, ATCs or MOOs. I have never made twinchies before and so wanted to give them a go. These are the results. I think I can do better- will definitely have another go at them at a later date. Sorry for my absence the last 4 weeks. I have been in Italy (Modena) working with a collaborator. I did manage to have some time off at weekends and have uploaded photos of the places I went to this Google album.